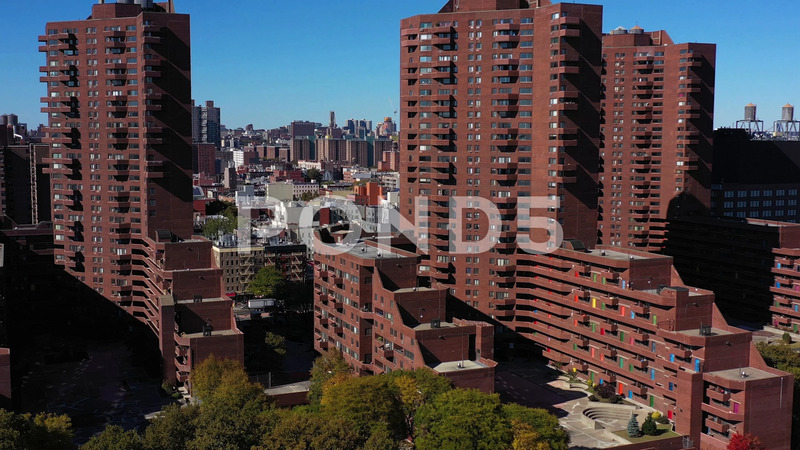 Description: Nice pullback elevating drone shot of apartment highrise buildings in Harlem, Manhattan, NYC; revealing the uptown skyline behind them. In midday bright sun. In 4K.